Parenting can be quite a challenge, especially when it comes to choosing the right diet for your baby. Mila Kunis and her husband Ashton Kutcher have a particular diet in mind for their baby daughter, Wyatt—one that’s free from sugar. Both parents aren’t ready to allow Wyatt to eat sugar, and they don’t want her to develop a sugar addiction. Kunis and Kutcher have starred in movies and co-starred in the hit TV series That ’70s Show. Mila Kunis gave birth to Wyatt 20 months ago, and the couple is now expecting a second child. Sugar is found in everything, including lots of popular processed foods such as cereals, candies, chocolates, and baked goods. Interestingly, the sugar-free baby diet has been criticized for depriving baby Wyatt of sugary foods, which is peculiar considering that sugar isn’t essential. In fact, it’s a wise decision to limit sugar consumption for a variety of reasons; sugar is linked to a various health problems, including depression, fatigue, headaches, high blood pressure, and obesity. In March on Jimmy Kimmel Live, Ashton Kutcher talked about his family’s Easter festivities. Instead of chocolate eggs and sugar treats, Kutcher and Kunis filled a plastic egg with raisins. According to Kutcher, Wyatt loves the raisins. Although raisins contain natural sugar, they are also a good source of energy and are full of nutrients such as B vitamins, potassium, and iron. When Kunis and Kutcher begin to include sugar in Wyatt’s diet, the best natural sugar sources should come from fresh and dried fruit, including berries, apples, oranges, and dates. Not feeding sugar to your child is actually a good thing. Ashton Kutcher and Mila Kunis are on the right path with their diet for baby Wyatt. And many parents are choosing to keep sugar away from their children as long as is reasonable. Soteriou, S., “Ashton Kutcher and Mila Kunis Won’t Let Their Daughter Have Sugar,” Yahoo! 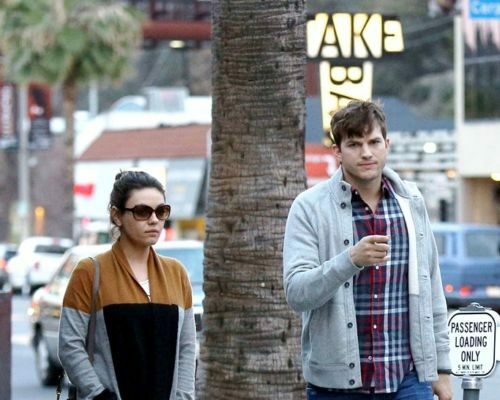 Beauty web site, March 30, 2016; https://www.yahoo.com/beauty/ashton-kutcher-and-mila-kunis-wont-let-their-124622157.html. Edwards, T., “Mila Kunis and Ashton Kutcher’s baby diet plan sounds just about right,” She Knows web site, March 31, 2016; http://www.sheknows.com/parenting/articles/1117505/mila-kunis-ashton-kutcher-daughter. Freitas, M., “Surprisingly Common Signs You’re Addicted to Sugar,” MindBodyGreen web site, Sept. 12, 2015; http://www.mindbodygreen.com/0-21500/surprisingly-common-signs-youre-addicted-to-sugar.html.